The newly launched CMV-mini designed with a completely new appearance,3D cut,more rigid,its compact size saves lots of installation space, and greatly increased the loading quantity. 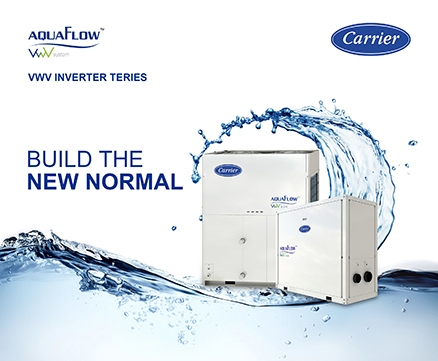 New CMV-mini VRF cooling capacity 12.5kW~16kW,for 16kW model, you could connect max 9 indoor units.it adopts twin-rotary DC inverter compressor and DC fan motor,high efficiency,low noise and long lifetime.EER up to 3.74 and COP up to 3.83. compared with previous models,new CMV-mini using refrigerant cooling technology to cool down the PCB for continuous stable and safety running.The main PCB, IPM and PFC are integrated together to improve the anti-interference capability and signal transmission efficiency. It could cooling at 55°C and heating at -15°C,perfectly meets various demands of different regions in the world,provides professional air conditioning solutions for different projects.